The U.S. mega-bank’s plan to reduce costs is paying off. 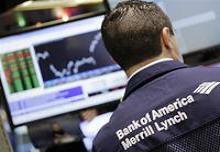 Brian Moynihan is now targeting annual cuts of $8 bln altogether by 2015. On recent form that would boost tangible equity returns to around 10 pct – probably just enough. But without revenue growth, BofA will look mediocre. On July 18 Bank of America reported second-quarter net income of $2.5 billion, or 19 cents a share. Results included a $505 million pre-tax gain from buying back debt, a $543 million pre-tax gain from selling securities and a $218 million pre-tax loss from changes in the value of its own liabilities. The bank announced that phase two of its New BAC plan to reduce costs, started last year, should reap an extra $3 billion of annual savings by 2015, taking the total to $8 billion.